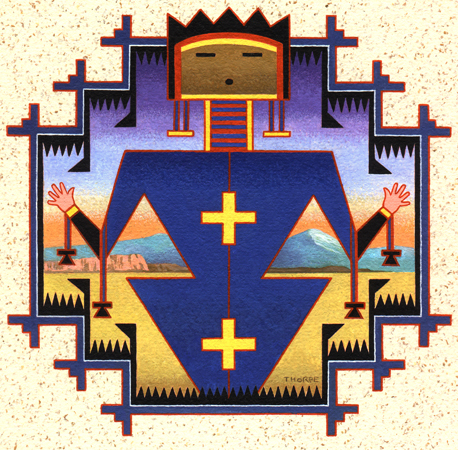 Cover art for The Wailing Wind by Tony Hillerman. Illustration by Peter Thorpe. 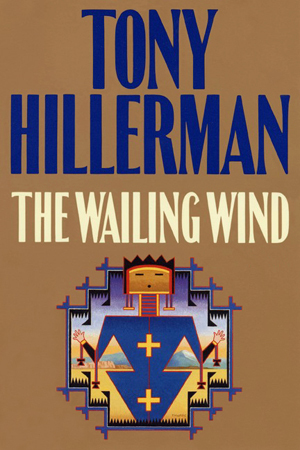 Cover of the 2002 HarperCollins hardcover first edition of The Wailing Wind by Tony Hillerman. Design and illustration by Peter Thorpe. Tony Hillerman's The Wailing Wind was released by HarperCollins in 2002. Design Director: Roberto DeVicq. Design and illustration: Peter Thorpe.